Tonight I decided to sit down and write my first real blog post on the many woes of pregnancy, and found myself completely overwhelmed with options! For me, the very first problems I experienced were all food &... *ahem* ....digestion related - and let's face it, what better place to start than discussing with you the innermost workings of my most private bodily functions?! 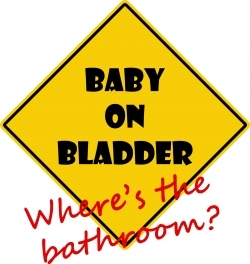 The first thing I learned in pregnancy is that all of the "toilet" related etiquette I had acquired over the years had to go right out of the window pretty darn quickly! But alas, by 8 weeks into this pregnancy, my former Lady Like and demure self had long-since departed and had been replaced by a gassy, bloated, whale-woman who was more than happy to chew my partners ears off about exactly how many trips to the loo I have had in the last hour and exactly what happened whilst I was in there.....believe me, some things simply have to be shared to be coped with. My first gripe with this is the name itself....Morning Sickness gives the poor unwitting fools among us the notion that this sickness people speak of will occur only in the mornings. This is, sadly, a lie. For me personally - Morning Sickness meant that from the moment I woke up in the morning until the moment I finally fell asleep at night, I would feel constantly nauseous and - at any given point throughout the day - I would throw up. Now many women do not experience this pregnancy evil at all, and they should think themselves extremely lucky! Then there are the women who claim to experience morning sickness, but upon further interrogation reveal that actually they just feel sick a lot of the time - as annoying as I'm sure that is for them, I do not count that as true genuine Morning Sickness. 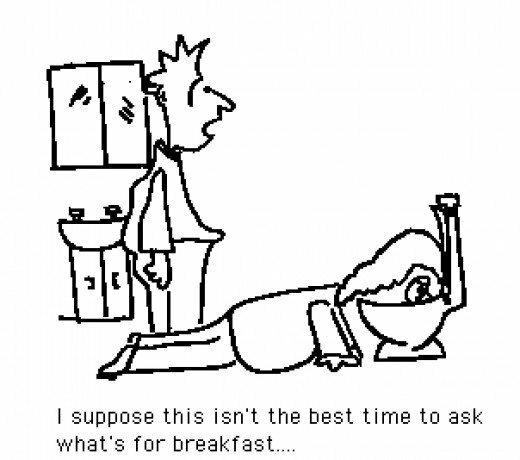 Oh no, not until you have spent more hours of your day hugging the toilet bowl than your partner do I consider you to truly have experienced the evil of Morning Sickness. Yes, for 25 weeks I threw up morning, noon and night - roughly 5 times a day. I even had to resort to carrying little plastic sandwich bags around with me when I left the house to enable me to vomit on the move. Oh dear - I feel the less said about this particular topic, the better. So I will try to sum it all up for you quickly. From about 12 weeks onwards, I have experienced very painful gas. There is really nothing else for it but to let it out. Really - its disgusting but save yourself the pain....just let it go. People warn you about the cravings you might experience during pregnancy, so I was perfectly prepared to have the sudden urge to dip pickled gherkins into ice cream....what I didn't expect was the AVERSIONS to food and how quickly I would go from craving something to feeling suddenly repulsed by it. You may think that this particular symptom shouldn't be classed as embarrassing but when you've sent your partner to the 24 hour garage at 4 am to fetch you some chocolate Rice Krispie Squares and fizzy Vimto (because you have the sudden urge to dunk the rice krispie cakes INTO the Vimto) and by the time he returns with them, the sight of them has you running for the bathroom again - it is pretty embarrassing. During my pregnancy I have started to hate many foods that I previously loved, including cheese, burgers and pizza - in fact I cannot stand to even hear my partner mention the word "pizza" without feeling queasy and just seeing an advert for McDonalds makes me want to lose my lunch. As somebody who has always enjoyed their junk food, I can only hope that this is temporary and my usual unhealthy appetite returns once the baby is born. Another thing that goes along with this is an EXTREMELY heightened sense of smell - my partner smokes electronic cigarettes and his preferred flavour is vanilla - this never used to bother me at all, but since becoming pregnant sitting in the same room as him while he smokes it has become the equivalent to me of being stuck in the Bog Of Eternal Stench. I'm not exaggerating. Ahhhh snissing. There really is nothing quite like snissing. It sounds like such a charming little word, don't you think?! There comes a point in pregnancy... around the same point that you cease to be able to paint your own toenails or tell what colour knickers you're wearing without the aid of a mirror....that you will lose the ability to be able to sneeze without your bladder temporarily letting go of whatever it was holding on to. Now I have been a very good girl and have practiced my Kegel exercises religiously, I promise - but alas, its sneeze and trickle all the way for me now. I can only hope that there is a way back to the land of dry underwear in the future for me.....here's hoping. Again, this is not something I want to discuss in a great amount of detail, but let me just say that I have been completely unprepared for the emotional rollercoaster of bowel movements in pregnancy. I had nausea for the first 12 weeks which made a return for a few weeks recently. I have had aversions but not cravings. Bm hmm. Well we know I had that illness for two weeks but mostly the whole preg I go 2-3 times and then iF i have a day where it is once or not at all I am asking myself what is up. 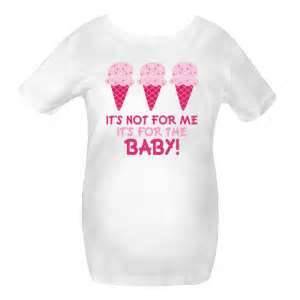 NOT a fan of pregnancy! Lol! Nope, me neither - as you can probably tell! Haha! I've never seen iCarly but it sounds like I should give it a miss for the next 3 months or so! Love this post! I can totally relate to everything at the moment, being 9 weeks pregnant I am suffering from all day sickness from morning to night ergh I can't bare it I have no idea what to eat anymore everything makes me heave it's awful!! Also am struggling big time to go to the toilet I need something to help me I feel like the worlds grumpiest pregnant lady at the moment!! Aww you have my empathy! Are you actually throwing up? I hope yours goes away at the end of the first tri - fingers crossed for you dear!! Aww I hope so too. Its funny coz coke is one of the only things that made me feel better lol.